The number of contractors in North Jersey is constantly growing. This increasing demand can be attributed to an improving economy. And, as more commercial trucks take to the road to ship items all throughout the area, there are more trucks requiring radiator repairs. 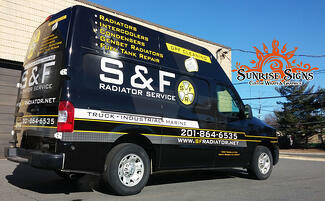 Consequently, there are more radiator shops offering their services in New York and New Jersey. To really stand out from the competition, smart entrepreneurs are using contractor van graphics for North Jersey.